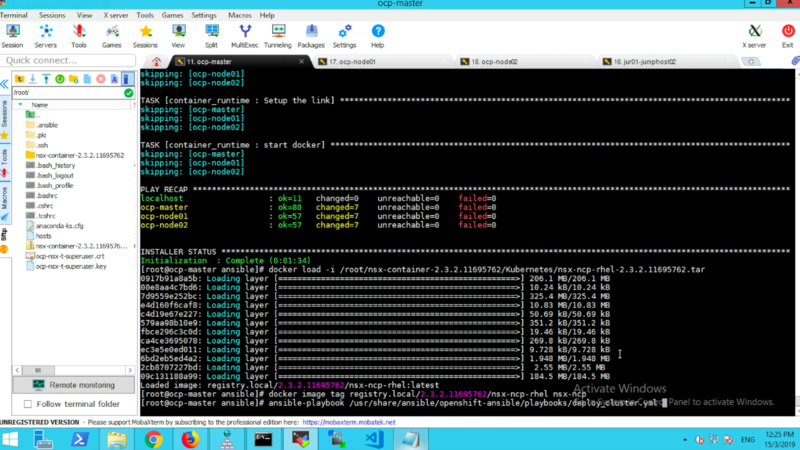 The last few blog posts I wrote about the installation steps for Openshift Container Platform (OCP) with NSX-T NCP attracted some good interest from the community as well as VMware internal folks. However, those materials were written quite awhile back and some of software used then were not up to date. My customers were also looking at the later versions of software. Lastly, in OCP 3.11, the ansible playbooks for NSX-T NCP integration comes out of the box and therefore makes the integration much simpler. Therefore, gave the reason to write this blog post. The high level steps remains unchanged. 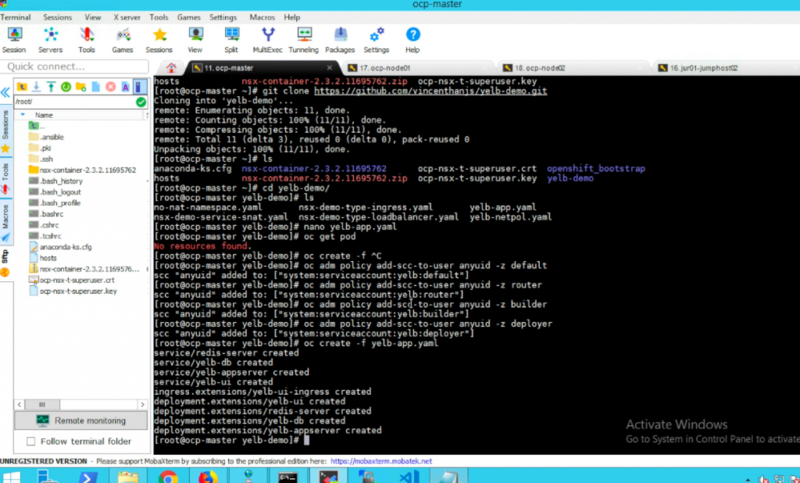 However, the part 5 in this case has been streamline into the Openshift installation. ** For fellow VMware colleagues, to save you time for preparing the RHEL templates and VMs for OCP install, I have exported out the VMs from my Lab. I have uploaded in onedrive. Email me, I will happily share the link to download. Size is about 7GB. Here is the complete list of software that needs to be downloaded to deploy Openshift Container Platform and NSX-T.
On every node, install docker. On the master node or jumphost, run the pre-requisites playbook. 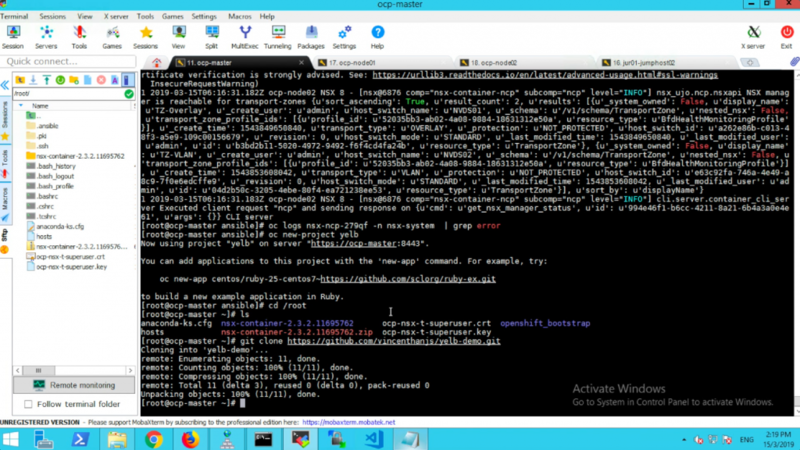 On the master node or jumphost, run the deploy-cluster playbook. 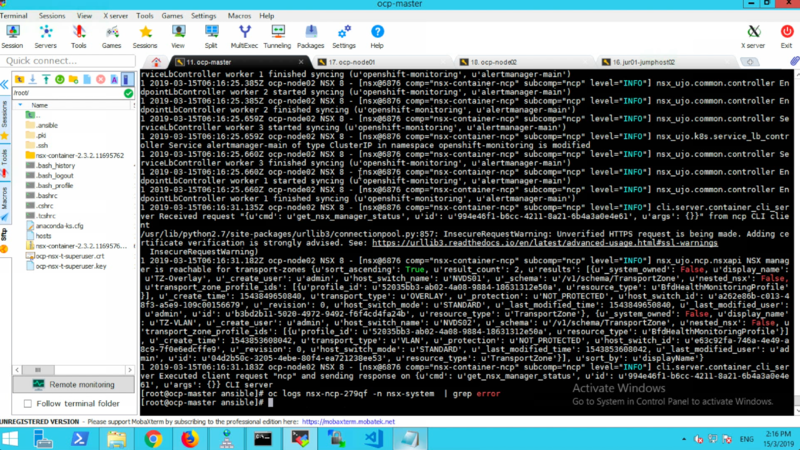 You can see the NCP and Node Agents being deployed as Pods under the nsx-system namespace. You can also do that for the node agent. However, there are 2 containers in the node-agent pod, you will need to specify the container using -c.
On the NSX-T side, if the integration is successful, you will see a bunch of default logical switches, logical routers as well as load balancer being created. Alright. Now lets test whether is the Container Network Interface(CNI) and NCP are working correctly by deploying a demo test application. 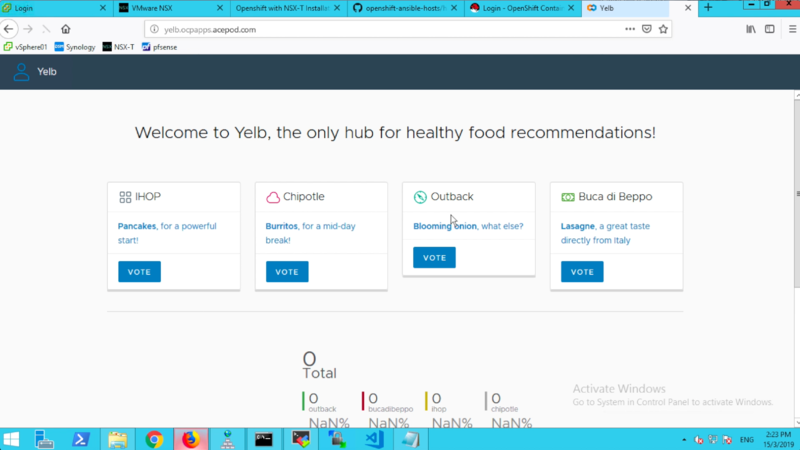 I normally use the Yelb app for my demo and testing. You will need to add policy before you can deploy the Pods. 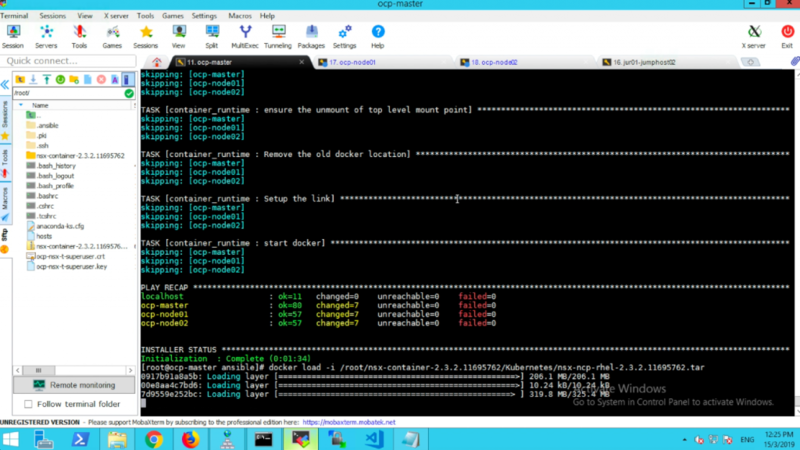 If not you will error in deploying the containers. Now, you can deploy the yelb app. 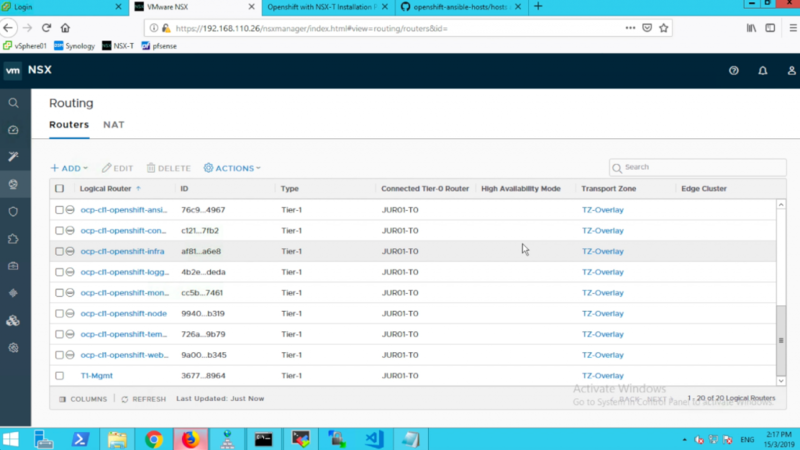 NSX-T Load Balancer supports Ingress service type. 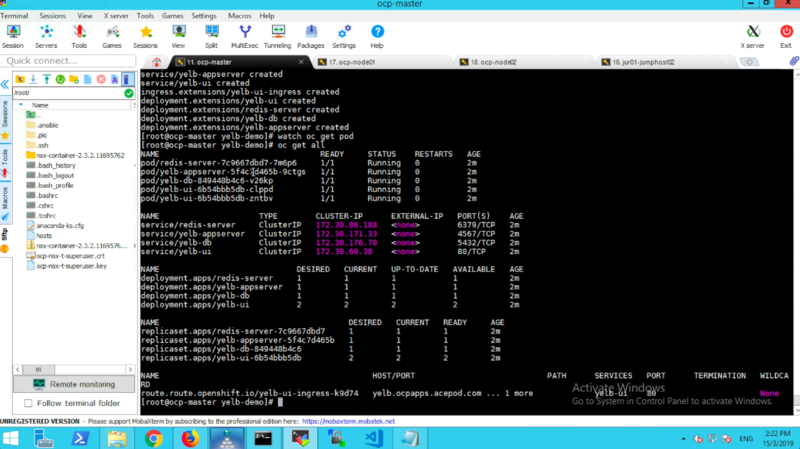 Previously I already had a wildcard domain already pointed to the Openshift Load Balancer virtual IP. 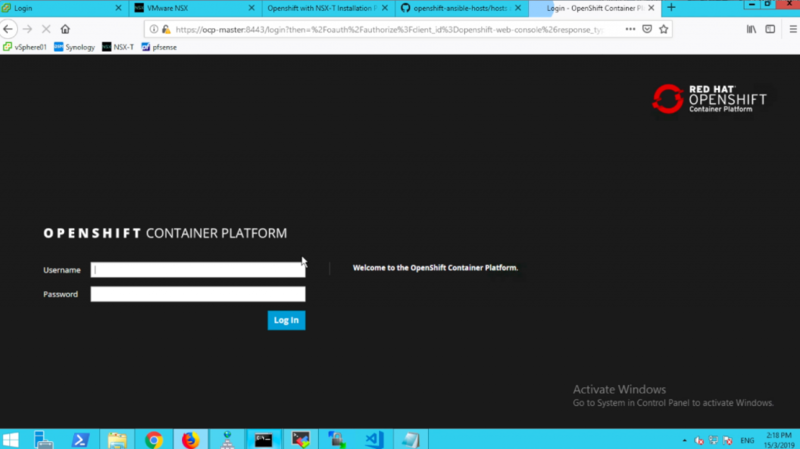 You can watch the full Openshift Container Platform installation and integration with NSX-T NCP over here.